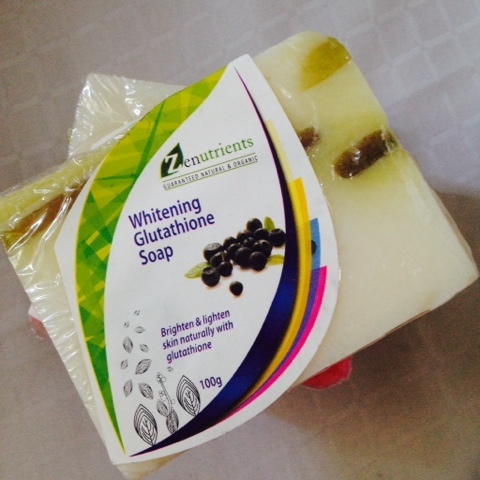 Zenutrients Organic Bar Soap | Vanity and Everything in Between. It's been awhile since I've used an organic soap. I try to void it as much as possible for the most obvious reason: they melt rather faster than a normal soap would. But since I went crazy at Zenturients' Headquarter last month plus the fact that I was sold on the Coffee Scrub bar soap, I went home with three organic bar soaps. For only PhP78 per bar, who could resist? 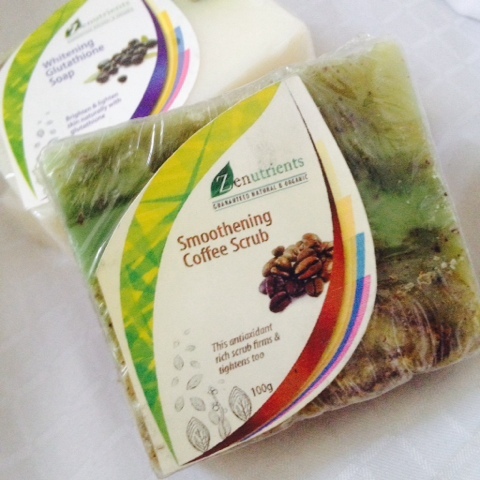 The first soap I tried among the three was Smoothening Coffee Scrub. I was stop intrigued with this soap because it smells so good yet looks so dirty. The brown thingamajig you see on the soap is grounded coffee beans. Pretty cool, huh? I cut the soap in two hoping it won't melt as fast as an organic soap usually does. Well, it also doesn't fit the soap container. Half of the soap lasted 2 weeks on me and L. That's pretty good. It smells good although it doesn't have a strong scent. I can't even smell it on my skin. I also didn't feel anything extraordinary on my skin the whole time I was using this. But then again, I didn't know what to expect either. The only thing I didn't like about this soap is that it could get messy as the ground coffee beans breaks off the moment it gets wet. That's the "scrub" part of this soap. It's like a 2-in-1 product after all. 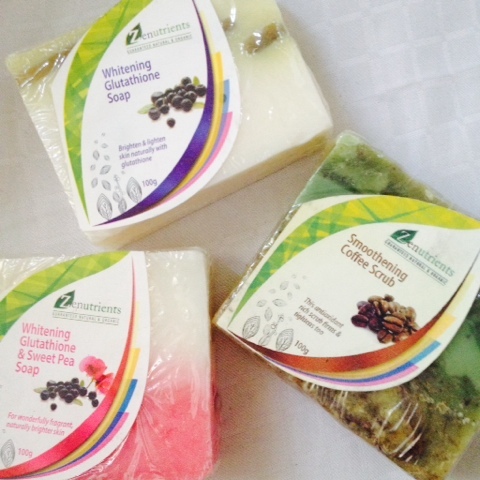 The Whitening Gluthathioine & Sweet Pea Soap is the one that smells the best among the three. I cut this bar soap into two and 1/2 of the soap also lasted 2 weeks on me and L. I got this because I was expecting to get a bit dark from my trip to Japan (and I did). Unfortunately, I didn't get whiter or should I say that I still haven't gotten back to my normal skin tone. I can still see the watch mark on my wrist. Hassle. I'm now using the Whitening Glutathione Soap and although this smells good, the scent is not overpowering which is fine. At least, it doesn't hurt my nose. I still have my watch mark so here's to hoping that I will get a tad whiter after I finish a full bar of this soap. Zenutrients has counters at SM Malls. 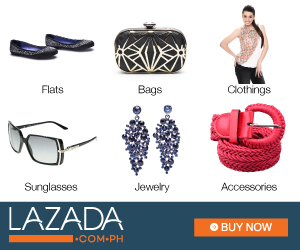 Its headquarter is located at 57 East Capitol Drive, Barrio Kapitolyo, Pasig City. What I love sa mga organic soap is how pretty they were crafted:) In my own experience rin, mostly glutathione soaps na natry ko parang di effective sakin. I love Zenutrients body butters! I should try their soaps too! 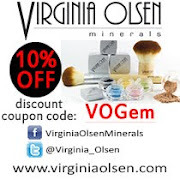 I visited their kiosk in Megamall the other day and purchased a soap and a massage oil. Im currently using the Glutathione & Oatmeal soap. It's been three days and yet I have not noticed any whitening effect though I feel that my skin's become smoother now. I gave up on the idea that soaps can whiten my skin. Hopeless! But i haven't tried any organic soap before. 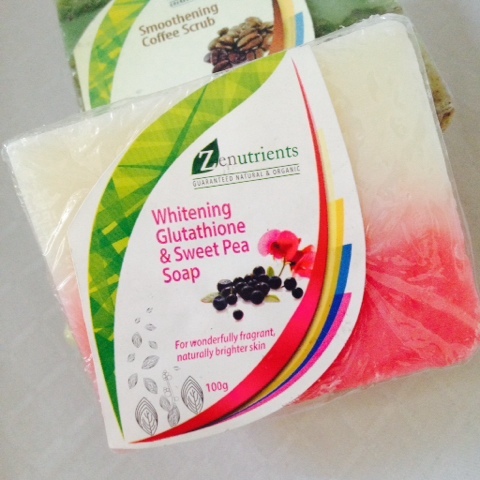 I will be waiting for your update on the result of the Glutathione soap when you finished the whole bar. Me naman i dont like Lush. It hurts my nostrils!